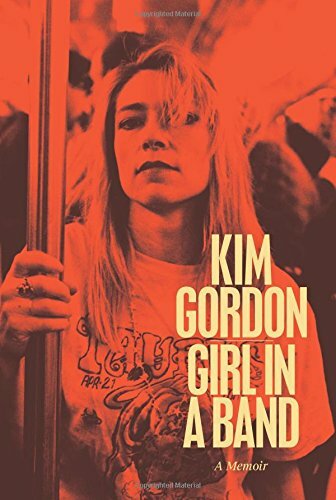 Many folks know Kim Gordon best for her contributions to Sonic Youth, the popular band. While my musical tastes tend to fall more into the folksy, Alison Krauss vein, Sonic Youth has certainly made appearances in my musical life. So, I was interested to pick up Gordon’s memoir. Memoirs and I have a pretty tough time together. While in theory I like the idea of someone recounting their life in their own words and attempting to convey their own emotions and reactions to their experiences, I have a tendency to doubt the truthfulness. Though I don’t believe everyone who writes a memoir is lying, I don’t think anyone can be wholly neutral about their own lives or free of biases when recounting their interactions with others. That being said, I love memoirs that seem to be genuine and truthful about the author’s emotional experiences and the complexity of their relationships. Gordon’s memoir follows her musical and artistic life following her departure from her hometown after high school. Occasionally, she recounts some of her more major adolescent experiences as explanation or context for later events. Her storytelling is not linear. Like when most people tell you a story, the context comes as needed. I found this appealing. Gordon’s memoir talks a lot about the art world, in particular, Gordon’s perception of herself as an artist who is a musician, her time in New York among the 1970s and 80s art scene, and how her experiences as a musician developed out of art. There was a lot of information about who she was around and what was going on. I think the most interesting part of it was Gordon’s identity. Somewhat surprisingly, I didn’t find that Sonic Youth as a band features very heavily in her memoir. The development of the band, Gordon’s relationship with the members, and much of the impact of Sonic Youth on Gordon’s life isn’t really discussed, and, when it is, the discussion is very dry-bones facts. I thought it left something to be desired. I also expected there to be discussion of Gordon’s experiences as a woman. Though she does have some interesting and relatable experiences as a young adult coming into her own style and feeling a bit outside the loop when it comes to other teen girls and other twenty-somethings, there isn’t really a discussion about the way gender impacts the relationships in the music world, which would have been interesting from a woman who was in such a unique recording and musical space. Often our current discussion surrounds the treatment of female solo artists or young women in particular. I think Gordon would have had an interesting position on the discussion as a whole and I was a bit surprised that it didn’t feature really much time at all. The book was, overall, a bit distant. Though there are some interesting stories about Gordon’s family, her father and brother in particular, I found the rest of the book to be rather dry, if still interesting. It distinctly lacked the sense of intimacy that may have made it fantastic. It was enjoyable, just left something to be desired. Overall, I gave this one a 3/5. A big thanks to Dey Street Books who sent me a copy of Girl in a Band for free in exchange for an honest review. This entry was posted in Reviews and tagged Book Review, boutofbooks, Dey Street Books, Girl in a Band, Kim Gordon, Memoirs, Music, Sonic Youth. So, yes. It’s that time again. Bout of Books begins today and is running through Sunday the 11th. Here’s what I’ll be reading. What are you reading for Bout of Books 12? This entry was posted in Bout of Books and tagged Bout of Books, Bout of Books 12, boutofbooks.